Only 13 percent of advisors say they are completely in control of their time. Only one in eight financial advisors believe they fully control their time or practices, according to a new report. This finding is unveiled in the “2014 Time Management and Productivity Study,” a report by the FPA Research and Practice Institute(RPI), a program of the Financial Planning Association (FPA). Based on input of 750 financial service professionals nationwide, the research was carried out subsequent to RPI’s inaugural “The Future of Practice Management study” last fall, which revealed advisors lack of time management skills. 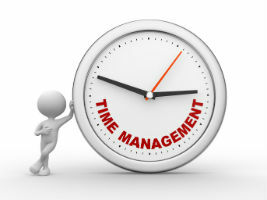 The study shows that, despite investing significant time in their businesses, only 13 percent of the survey respondents say they are completely in control of their time, 10 percent feel in complete control of their businesses, and more than half of advisors feel out of control. Those advisors who are in control are more likely to have used tools, such as a time tracker (42 percent of teams who are in control compared to 28 percent who are not) and are less likely to deviate from their schedules.